There are whys to transgender activism, but beyond the whys of transgender activism there are the whats: there are the goals of transgender activism. Here are seven goals of trans activism with some explanation as to why these are trans activism goals. According to the National Center for Transgender Equality (NCTE)/Task Force report Injustice at Every Turn A Report of the National Transgender Discrimination Survey, trans and gender non-conforming respondents experienced double the rate of unemployment: Survey respondents experienced unemployment at twice the rate of the general population at the time of the survey, with rates for people of color up to four times the national unemployment rate. And, trans and gender non-conforming respondents experienced widespread mistreatment at work: Ninety percent (90%) of those surveyed reported experiencing harassment, mistreatment or discrimination on the job or took actions like hiding who they are to avoid it. Forty-seven percent (47%) said they had experienced an adverse job outcome, such as being fired, not hired or denied a promotion because of being transgender or gender non-conforming, and twenty-six percent (26%) had lost a job due to being transgender or gender non-conforming. According to the previously referenced NCTE/Task Force report, 19% of surveyed trans and gender non-conforming respondents reported having been refused a home or apartment and 11% reported being evicted because of their gender identity/expression. And, one-fifth (19%) of trans respondents reported experiencing homelessness at some point in their lives because they were transgender or gender non-conforming. Public accommodation for transgender people isn’t primarily about bathrooms. It’s often instead about being able to buy a cup of coffee and a cheeseburger at your local restaurant; it’s often instead about being able to go to government agency and be treated as a full citizen. And again, according to the previously referenced NCTE/Task Force report, fifty-three percent (53%) of trans and gender non-conforming respondents reported being verbally harassed or disrespected in a place of public accommodation, including hotels, restaurants, buses, airports and government agencies. Also, one fifth (22%) were denied equal treatment by a government agency or official; twenty-nine percent (29%) reported police harassment or disrespect; and twelve percent (12%) had been denied equal treatment or harassed by judges or court officials. According to the Gay, Lesbian and Straight Education Network (GLSEN) report Harsh Realities: The Experiences of Transgender Youth in Our Nation’s Schools, Almost all transgender students had been verbally harassed (e.g., called names or threatened) in the past year at school because of their sexual orientation (89%) and their gender expression (87%); Over half of all transgender students had been physically harassed (e.g., pushed or shoved) in school in the past year because of their sexual orientation (55%) and their gender expression (53%); Many transgender students had been physically assaulted (e.g., punched, kicked, or injured with a weapon) in school in the past year because of their sexual orientation (28%) and their gender expression (26%). Also, harassment and bullying had impacts on trans students ability to learn, and ability to have normative outcomes. Transgender students experiencing high levels of harassment were more likely to report that they were not planning on going to college than those experiencing lower levels of harassment. Full access to appropriate healthcare services. Again according to the previously referenced NCTE/Task Force report, Denial of health care and multiple barriers to care are commonplace in the lives of transgender and gender non-conforming people. Respondents in our study seeking health care were denied equal treatment in doctor’s offices and hospitals (24%), emergency rooms (13%), mental health clinics (11%). Female-to-male respondents reported higher rates of unequal treatment than male-to-female respondents. Nineteen percent (19%) had been refused treatment by a doctor or other provider because of their transgender or gender non-conforming status. 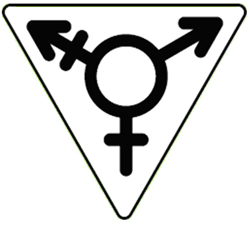 Access to recognition of appropriate gender; access to appropriate identification documentation. Possessing accurate and consistent identification documents is essential to basic social and economic functioning in our country. Access to employment, housing, health care and travel all can hinge on having appropriate documentation. Yet, for many of the respondents, obtaining identity documents that match their gender is a major hurdle. Again according to the previously referenced NCTE/Task Force report, only one-fifth (21%) of trans people reported having been able to update all of their IDs and records with their new gender ,and one-third (33%) had updated none of their IDs/records. Only fifty-nine percent (59%) reported updating the gender on their driver’s license/state ID — the primary identification document for most Americans. [A]s a transgender veteran, and an advocate for lesbian, gay, bisexual and transgender (LGBT) service members, veterans and their families, the changes that Secretary Panetta brought about in his last days in office have left me emboldened. Here’s why: As the combat exclusion for women comes to an end and open service for gay, lesbian and bisexual Americans edges closer to truly equal service, it becomes more and more obvious that there is no longer any rational basis on which to bar qualified transgender people from serving in our armed forces. At the heart of the combat exclusion rule were two assumptions that were accepted uncritically, if not quite universally, for decades. The first was that women are somehow, by our nature, “unfit” for close combat. The valorous service of America’s women veterans of Iraq and Afghanistan, asymmetric battlefields where the “front line” is everywhere and every trooper faces the risk of close combat every day, put the lie to that. So too did the military’s uncanny ability to find ways to circumvent the rules as it became apparent they were no longer working in the field. Today there are few more effective ways to reveal oneself to be an armchair general, out of touch with the reality of modern war, than by saying that women don’t have what it takes to hang on the battlefield. With the stroke of a pen, Secretary Panetta consigned these two assumptions to the dustbin of history, where, along with military racial segregation and “don’t ask, don’t tell” (DADT), they can serve as embarrassing reminders of how easy it is to justify our prejudices in the name of security. However, it will be up to his successors to take the next logical step: the exorcism from DOD regulations of what is today a blanket, no-exceptions-allowed exclusion of all transgender people from service. Such a move is absolutely appropriate today, because the bottom line is this: If “valor knows no gender,” as President Obama said when the combat exclusion rule fell, and if men and women really can be accommodated simultaneously under close combat conditions without a negative impact on war-fighting ability, then there is no reason other than prejudice for the transgender exclusion to remain. Robinson said it better than I ever could. We could have an eighth goal of trans activism as well, which would be marriage equality — but that’s a column for another day. The basic goals for trans community activism for the most part aren’t unique — most are common to civil rights movements past and present. In accomplishing civil rights work, one doesn’t have to reinvent the wheel — as with other civil rights movements, one has to identify community challenges that civil rights legislation can help address, then learning from the methods of previous civil rights movements, act. That acting to address trans specific issues — that is the thrust of transgender civil rights activism.